We know there are at least 50 barriers to leaving a domestic abuser—and they’re only intensified when you live in a remote area like much of Alaska. 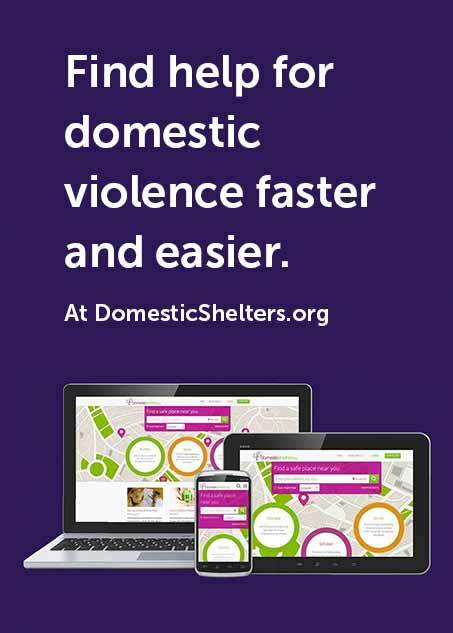 With a population so spread out, few communities have domestic violence advocates and even fewer have shelters. In fact, there are 24 programs in 20 cities in Alaska and in some areas around 1,000 or more miles exists between programs. That doesn’t mean resources aren’t available though. Because sitting down with an advocate isn’t always possible, Herman says a lot of safety planning is done remotely. Imagine being in a life-threatening situation and having to wait hours for police to arrive. That’s the reality for many Alaskans. This means locals often look to each other for protection. “Local people oftentimes are the first responders—a family member or a tribal council member with no advocacy training,” Truett Jerue says. Even when law enforcement responds and an abuser is arrested, Alaska prosecutors are having difficulty keeping up with caseloads amidst deep budget cuts and severe understaffing. Still, Herman encourages survivors to reach out in any manner they’re comfortable. Part of the issue in spreading awareness and getting help is spotty access to the Internet. “Internet is slow, unreliable and very expensive, so we don’t rely on it to get information out there,” Herman says. Instead, advocacy programs use radio and word of mouth to educate Alaskans on the resources available. It can be costly for a survivor to leave, particularly if flights are needed to escape. “There are services in hub communities, but a one-way ticket could be $600 or $700 for a woman and four children,” Truett Jerue says. But Herman advises survivors not to let cost or any other factors deter them from leaving or getting help. Are other factors keeping you from reaching out for help? Check out “Calling a Hotline When There Are Barriers in Your Way” for advice on how to deal with them.